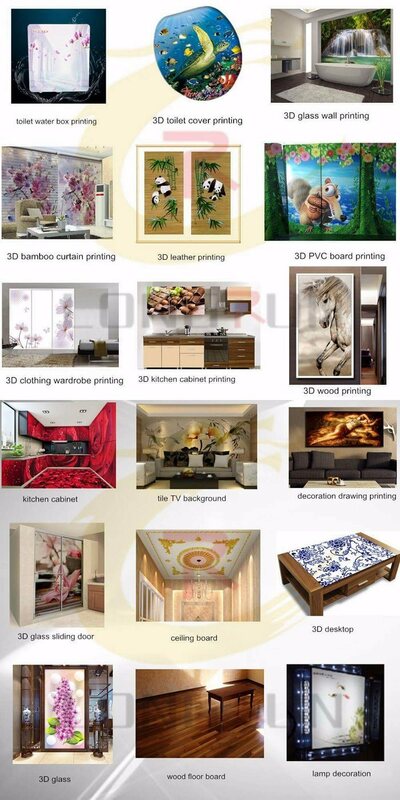 More Applications Printed materials could be:Â glass ,ceramic, ceiling, aluminum sheet, wood board, door sheet, metal panel ,billboard, acrylic panel, plexiglass, paper board, foam board, PVC expansion board, corrugated cardboard; flexible materials such as PVC, canvas, cloth, carpet ,sticky note, reflective film, leather etc. 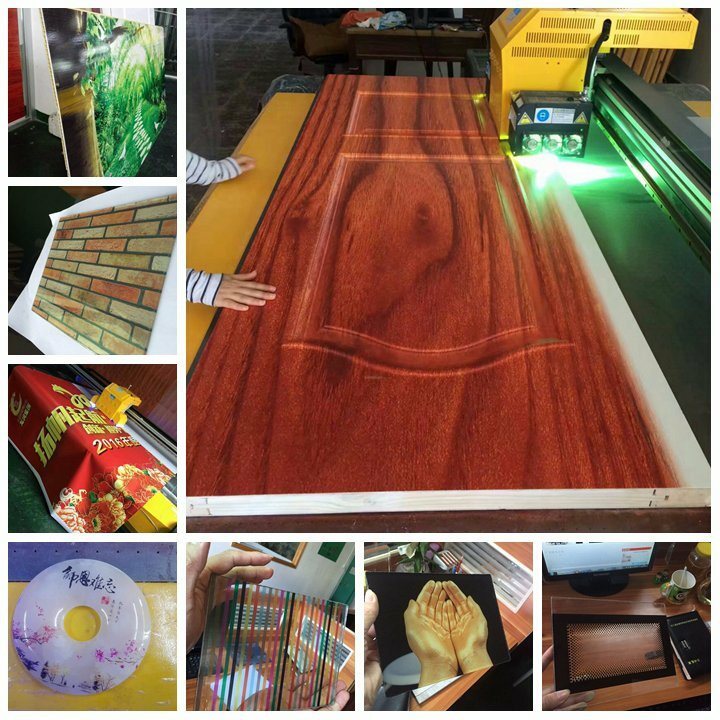 Application areas include: decoration industry, glass industry, sign industry, exhibition industry, rigid paperboard packing industry,leather,artware industry, furniture industry etc. 1)Â Â Warranty Time:Â 1 year, within this period we will send spare part free to you if there are any problems with them (except artificial damage). Â 2)Â Â Quality:Â Quality of products will be strictly checked and every machine will be test to ensure it can works well before packaging. Â 3)Â Â Technical services:Â We have professional engineers available to service machinery overseas, once we receive your inquiry about fault we will reply you within 24 hours, and offer you any technical service about machine. Â parts with competitive price. Â 5)Â Â File Services:Â Â We can supply Manual Specification, Operating Video and other files you need. Â 6)Â Â Language:Â We have aÂ professional sales team who are good at English to ensure zero communication barriers. 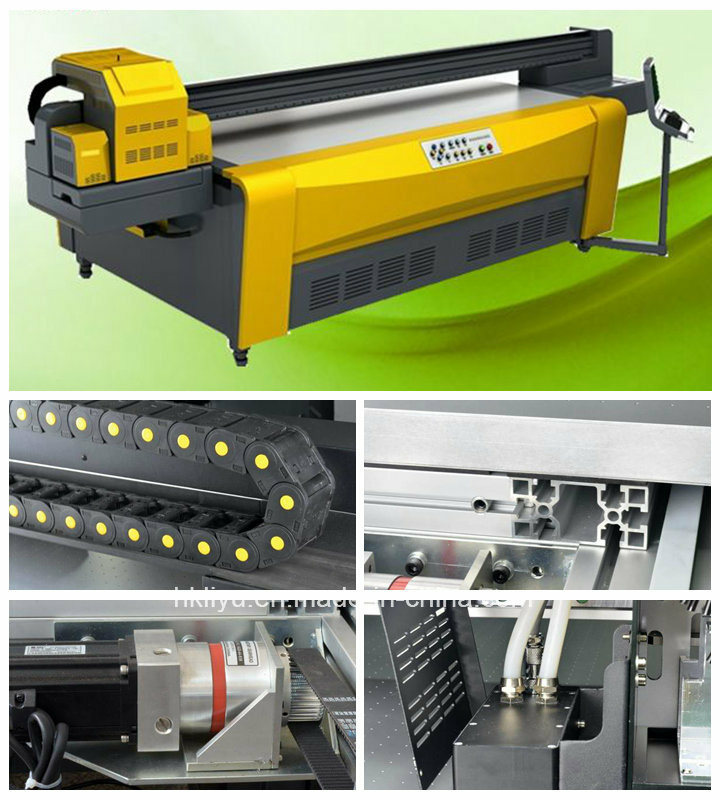 Â Â Kong Hong LiYu Technology Co.,Limited is the leading manufacturer of quality direct to wall inkjet printer, industrial coding and marking equipment. We are committed to improving the quality of products and services by providing high quality and cost effective products that meet our customers' needs. LiYu has more than 15 patents, advanced production line, gathered extensive knowledge engineer, flexible payment terms, strictly quality control of parts and finished goods, professional after-service. Â Â Â We have provided solution and service to customers from 120 countries in different fields and will continue to embrace and create aÂ better future with open mind.